A pure, natural Turmeric supplement with black pepper. Contains an average 3% curcumin. Turmeric has long been used in cooking but now it is also thought to have health and wellbeing benefits in humans and horses. It is a valuable source of curcumin and other bioactive compounds, which have strong anti-oxidant and anti-inflammatory effects. Turmeric is good for joint flexibility and promotes a healthy digestion. It may also be useful for horses prone to itchy or damaged skin. As with any new feed or supplement, we recommend introducing it gradually to your horse’s diet over a few weeks. Pregnancy & Lactation - Speak to your vet before administering to pregnant or lactating mares. 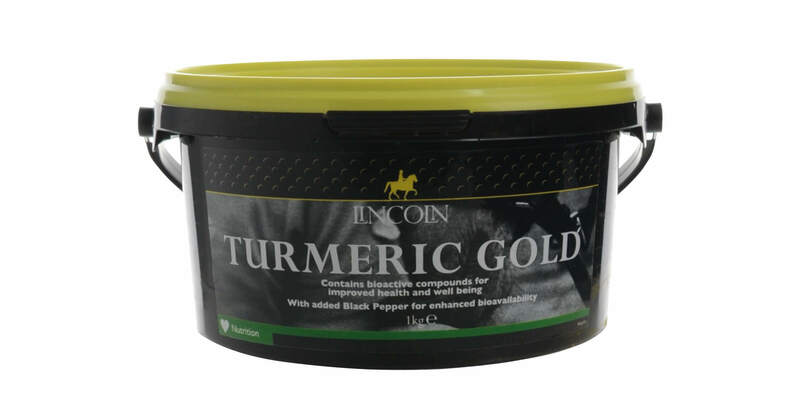 Warnings & Contraindications – There are reports that Curcumin may affect iron metabolism so we do not advise feeding turmeric to anaemic horses. Exercise caution when adding Tumeric to the feed as it may stain. NAF Linseed Oil can help to support your horse's general health, as well as giving their coat a glossy shine. It is rich in Omega-3 essential Fatty acids (including linoleic acid & alpha-linoleic acid).